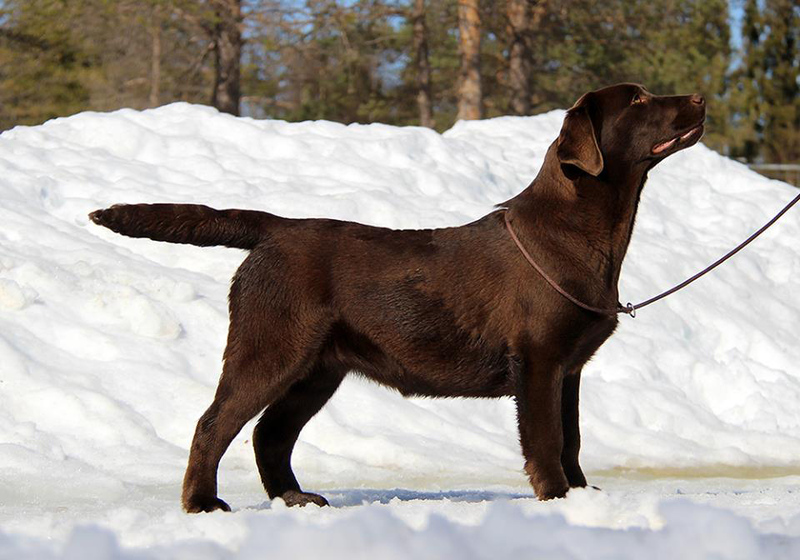 "Ruby" is a chocolate female from our last litter by "Milo", 7 months in the picture. Ahe has A/A hips and 0-0 elboes and she is HNPK, EIC and PRA "clear by parentage". She has been shown once and she was BOB puppy.